In a further statement the company stressed that no operations or investments had been moved from Ireland. Up until 2014, the tech company had been exploiting a loophole in tax laws in the US and the Republic of Ireland known as the "double Irish". This allowed Apple to funnel all its sales outside of the Americas - currently about 55% of its revenue - through Irish subsidiaries that were effectively stateless for taxation purposes, and so incurred hardly any tax. Media captionApple CEO Tim Cook in 2013: "We pay all the taxes we owe. Every single dollar"
Apple came under pressure in 2013 in the US Senate, when CEO Tim Cook was forced to defend its tax system. Angry that the US was missing out on a huge amount of tax, then-Senator Carl Levin told him: "You shifted that golden goose to Ireland. You shifted it to three companies that do not pay taxes in Ireland. These are the crown jewels of Apple Inc. Folks, it's not right." Mr Cook responded defiantly: "We pay all the taxes we owe, every single dollar. We do not depend on tax gimmicks... We do not stash money on some Caribbean island." 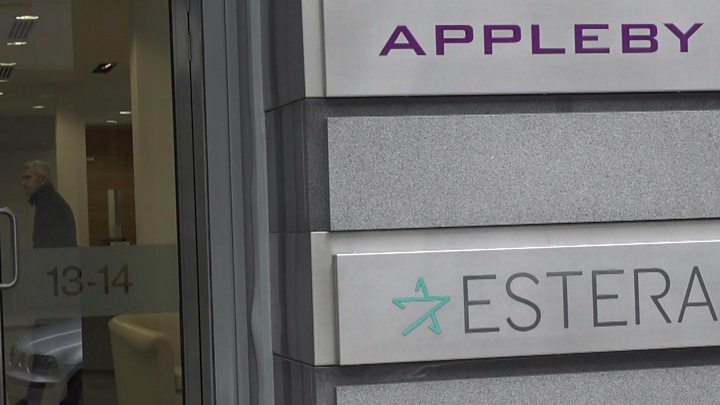 In March 2014, Apple's legal advisers sent a questionnaire to Appleby, a leading offshore finance law firm and source of much of the Paradise Papers leak. It asked what benefits different offshore jurisdictions - the British Virgin Islands, Bermuda, the Cayman Islands, Mauritius, the Isle of Man, Jersey and Guernsey - could offer Apple. The document asked key questions such as was it possible to "obtain an official assurance of tax exemption" and could it be confirmed that an Irish company might "conduct management activities… without being subject to taxation in your jurisdiction". They also asked whether a change of government was likely, what information would be visible to the public and how easy it would be to exit the jurisdiction. Leaked emails also make it clear that Apple wanted to keep the move secret. One email sent between senior partners at Appleby says: "For those of you who are not aware, Apple [officials] are extremely sensitive concerning publicity. They also expect the work that is being done for them only to be discussed amongst personnel who need to know." Apple chose Jersey, a UK Crown dependency that makes its own tax laws and which has a 0% corporate tax rate for foreign companies. Paradise Papers documents show Apple's two key Irish subsidiaries, Apple Operations International (AOI), believed to hold most of Apple's massive $252bn overseas cash hoard, and Apple Sales International (ASI), were managed from Appleby's office in Jersey from the start of 2015 until early 2016. This would have enabled Apple to continue avoiding billions in tax around the world. In August 2016, after a three-year investigation, the European Commission finds that Ireland gave an illegal tax benefit to Apple. 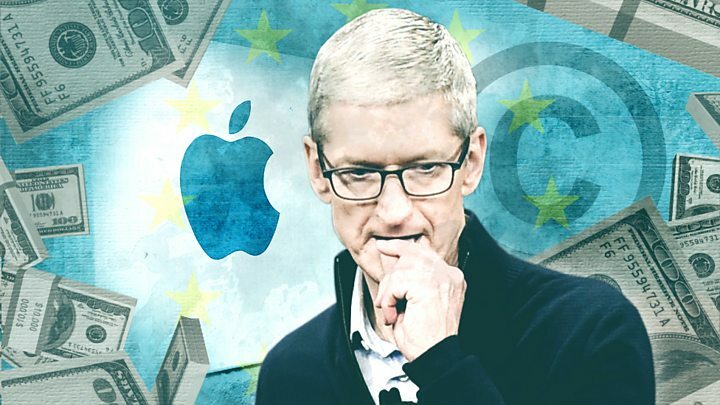 The EC says Apple must repay Ireland taxes for the period within its remit of investigation, 2003-2013, a total of €13bn (£11.6bn) plus interest of €1bn. Ireland and Apple launch an appeal. Apple's Tim Cook calls the EC ruling "total political crap", with "no reason for it in fact or in law". Ireland says the EU is encroaching on sovereign taxation. It fears multinationals will go elsewhere. Ireland agrees to collect the €13bn, to be held in a managed escrow account pending the appeal verdict. In October 2017, the EU says it will take Ireland to court as it has not yet collected the money. Ireland says it is complicated and it needs time. When the "double-Irish" loophole was shut down, Ireland also created new tax regulations that companies like Apple could take advantage of. One of the companies that Apple moved to Jersey, ASI, had rights to some of Apple Inc's hugely valuable intellectual property. If ASI sold the intellectual property back to an Irish company, the Irish company would be able to offset the enormous cost against any future profits. And since the IP holder, ASI, was registered in Jersey, the profits of the sale would not be taxed. It appears Apple has done just that. There was an extraordinary 26% spike in Ireland's GDP in 2015 which media reports put down to intellectual property assets moving into Ireland. Intangible assets rose a massive €250bn in Ireland that year. Ireland's department of finance denied that the new regulations had been brought in to benefit multinationals. It said Ireland was "not unique in allowing companies to claim capital allowances on intangible assets" and had followed "the international norm". Apple declined to answer questions about its two subsidiaries moving their tax residency to Jersey. It also declined to comment when asked whether one of those companies had helped create a huge tax write-off by selling intellectual property. Apple said: "When Ireland changed its tax laws in 2015, we complied by changing the residency of our Irish subsidiaries and we informed Ireland, the European Commission and the United States. "The changes we made did not reduce our tax payments in any country. In fact, our payments to Ireland increased significantly and over the last three years we've paid $1.5bn in tax there." The 13.4 million records were passed to German newspaper Sueddeutsche Zeitung and then shared with the International Consortium of Investigative Journalists (ICIJ). 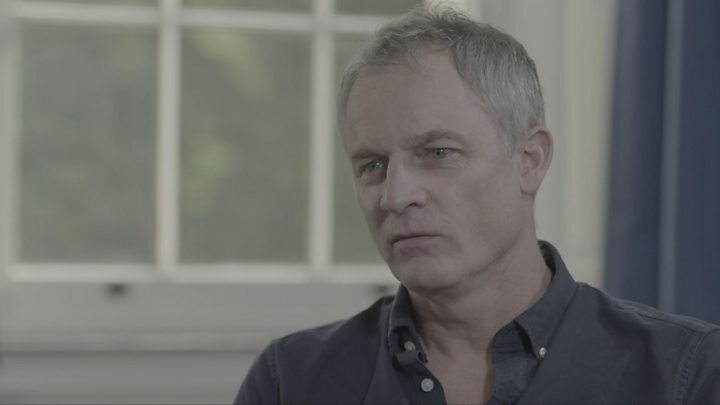 Panorama has led research for the BBC as part of a global investigation involving nearly 100 other media organisations, including the Guardian, in 67 countries. The BBC does not know the identity of the source.